Bestowed with vast knowledge of the domain, we are able to impart our clients prompt and reliable ACP Cladding Service. Offered service is performed under the strict supervision of our experts using optimum grade tools and the latest techniques. Our professionals perform this service as per the requirements of our esteemed clients. Further, the provided service can be availed by our valuable clients at the most competitive price. Established as a Partnership firm in the year 2017, we “Preksha Aluminium” are a leading Manufacturer of a wide range of Aluminium Door, Structural Glazing, Door Partitions, etc. Situated in Ahmedabad(Gujarat, India), we have constructed a wide and well functional infrastructural unit that plays an important role in the growth of our company. We offer these products at reasonable rates and deliver these within the promised time-frame. 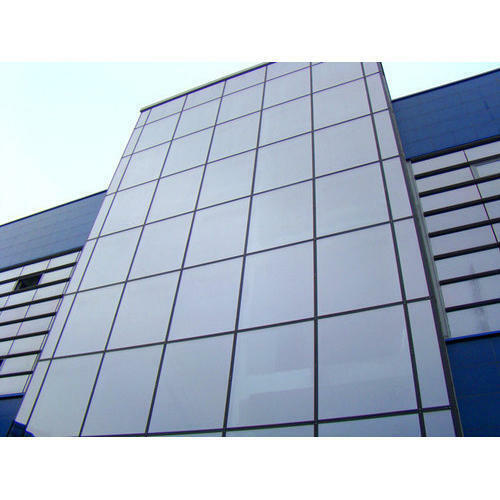 Additionally, we impart Structural Glazing Work and Cladding Service as per client’s needs. Under the headship of “Mr. Hitesh Patel” (Partner), we have gained a huge clientele across the nation.